From 2013 to December 2018, for approximately 6 years, NK Watch has conducted interviews with North Korean defectors who have witnessed or experienced the human rights abuses and crimes committed by the North Korean regime including: 1. Arbitrary detention, 2. Involuntary disappearances, 3. Modern-day slavery, 4. Torture, 5. Violence against women, 6. Discrimination of the disabled, 7. Child abuse. 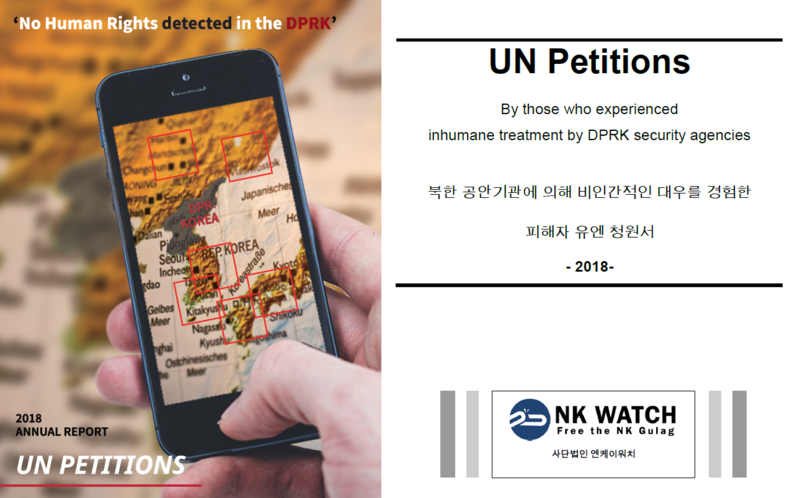 During the period between December 1st, 2017 and November 30th, 2018, NK Watch has met with 116 individuals and prepared an additional 140 petitions which, except for the individuals’ personal information, has been organized and compiled into booklets. These booklets were distributed amongst the international community, including relevant working groups and foreign missions under the United Nations Human Rights Council. As of December 2018, NK Watch has submitted a total of 621 petitions, 634 victims, to the UN. Working groups under the United Nations Human Rights Council review these petitions and demand North Korea, as well as other parties involved in human rights violations, to verify and explain. 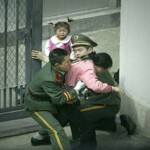 However, the North Korean response to the UN is that they have never committed any human rights violations. Rather than acknowledging and reflecting on these allegations, they disregard it completely and call the accusations against them a conspiracy created by their enemies. However, due to this process, the North Korean regime can’t help but to recognize that the international community will be raising questions and keeping a close eye on the human rights abuses taking place within their country. With more attention being placed on North Korea by the international community and more cases accumulating, along with the notion that perpetrators and people in charge of these violations will be held accountable, the hopeful outcome is that it will lead to North Korea reducing the frequency and degree of human rights abuses to its own people and set forth a change from within. In reality, North Korea is highly sensitive to the actions revealing human rights violations through external propaganda and media, and they further disprove of the international communities concern and attention. North Korea needs to be aware that in order to be recognized as part of the international community, it’s not through the show of force given by possessing nuclear weapons, but rather a humanitarian attitude that respects human rights. Until North Korea’s regime eradicates their anti-humanitarian criminal activities and punish the perpetrators and those responsible for human rights violations, NK Watch’s project to submit petitions to the UN will continue. In 2019 as well, we ask for your attention and support.